Mention the phrase “these go to 11,” and you’re likely to elicit chuckles from fans of a classic 1984 movie. Rob Reiner’s fake documentary — “If you will, rockumentary” — chronicles the exploits of a quartet of English knuckleheads who embody every cliché of a heavy metal rock band. Lead guitarist Nigel Tufnel, portrayed by Christopher Guest, exudes an amusing cluelessness throughout the proceedings. In one scene, Tufnel explains how he turns up the volume of his performance — figuratively and literally. 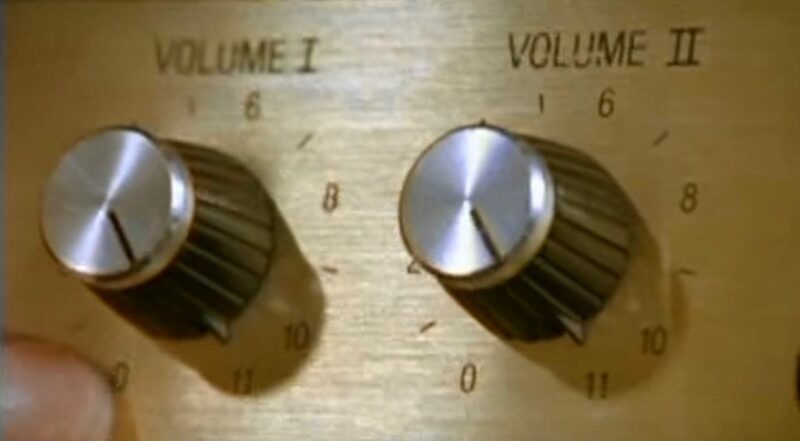 So committed to the notion that 11 must be louder than 10, the guitarist fails to comprehend an alternative that might accomplish the same goal. No one is arguing that top N.C. government leaders would struggle in a war of wits with Nigel Tufnel. But it’s possible that some might be so committed to one particular policy option that they fail to contemplate an alternative. In the debate over state funding of local school construction, the most highly visible option is a proposed statewide school bond referendum. Democratic Gov. Roy Cooper has endorsed the idea. He launched a statewide tour last summer touting a $1.9 billion bond package. Speaker Tim Moore, R-Cleveland, and other leading N.C. House Republicans also have signaled support for a statewide bond. They organized a January forum on the topic in Harnett County. Local leaders trumpeted potential benefits for addressing their school systems’ building needs. Meanwhile, leading state senators have put forward a different proposal. Rather than take on new debt with a bond package, senators would tweak the State Capital and Infrastructure Fund created in 2017. Outlining the plan for reporters, Senate Majority Leader Harry Brown, R-Onslow, argued that his chamber’s pay-as-you-go alternative would devote more money to schools ($2.03 billion versus $1.9 billion), start construction projects two years earlier than a bond package would allow, and save North Carolina $1.2 billion in interest payments over the next 30 years. Plenty of questions remain about both plans. Can North Carolina afford to take on new debt linked to a bond? How would a change in the SCIF formula affect funding for other government construction priorities? What kinds of projects would be funded under either proposal? Would they be concentrated in areas with the highest rates of student growth? Dispersed in ways that tilt more toward urban or rural interests? How have changes in enrollment patterns affected the need for new district school buildings? Does it make sense to give state government a larger role in traditionally local school building decisions? Should the fast-growing public charter school sector share in any state construction funds? Those questions need answers before policymakers proceed with any plan. If they reach agreement that the state should take some action, then they’ll have to choose among a bond, a pay-as-you-go plan, or some combination of the two. The bond proposal has been circulating longer. Plus it’s more familiar to taxpayers and voters. When counties decide they need to build or upgrade school buildings, they often turn to local bond referendums. Unless, of course, bond advocates want to come across in the same way as the Spinal Tap guitarist who cranks his amplifier up to 11.